Get information right on your phone. 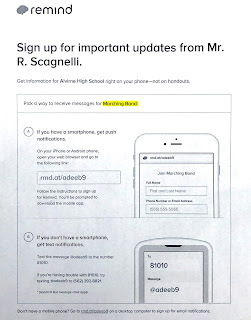 Mr. Scagnelli will be using Remind to send important updates to parents. Instructions can be found at the link below. 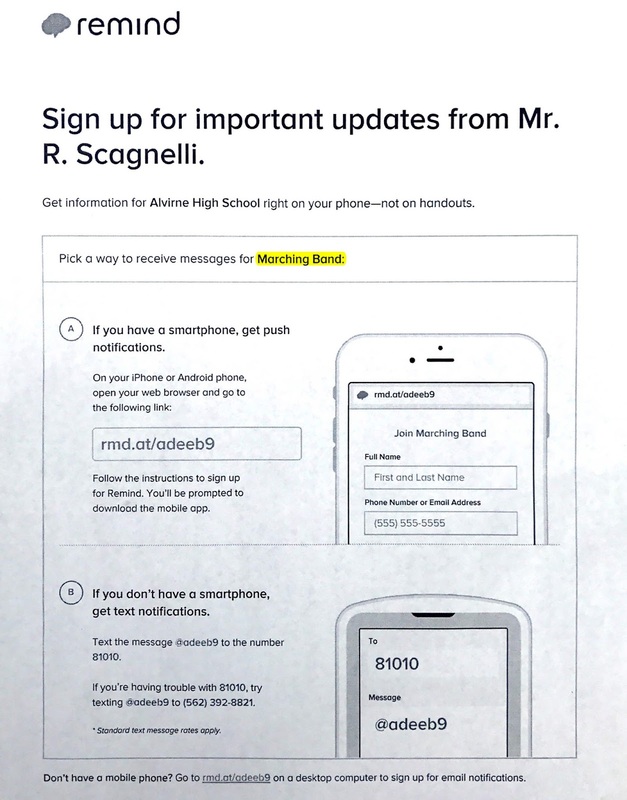 Make sure to sign up for each group your student is participating in: Marching Band, Concert Band, Symphonic Band, or Jazz Band.